—Meghan Maguire Dahn’s work has appeared or is forthcoming in Boston Review, Iowa Review on-line, Cincinnati Review, Horsethief, Bennington Review, Blunderbuss, The Journal, Poetry Northwest, Phantom Limb, and Beloit Poetry Journal, among others. She was a winner of the 2014 Discovery/92nd Street Y Poetry Prize. She grew up in the woods and lives steps from Manhattan’s only forest. Sean Frederick Forbes is an Assistant Professor-in-Residence of English and the Director of the Creative Writing Program at the University of Connecticut. His poems have appeared in Chagrin River Review, Sargasso, A Journal of Caribbean Literature, Language, and Culture, Crab Orchard Review, Long River Review, and Midwest Quarterly. In 2017, he received first place in the Nutmeg Poetry Contest from the Connecticut Poetry Society. Matt Salyer is an Assistant Professor at West Point. A native New Yorker, he earned a PhD from the University of Connecticut. His work has appeared in Narrative, Hunger Mountain, Poetry Northwest, Beloit, Massachusetts Review, The Common, and numerous other journals. He was a 2017 finalist for the Brittingham and Pollak Prizes, and a finalist in 2016 and 2017 for the Iowa Review Prize. His first book, Ravage & Snare, is forthcoming from Pen and Anvil Press. Amber West is a writer, educator, and theater maker originally from California. Her writing has appeared in journals and anthologies such as Calyx, Puppetry International, The Feminist Wire, Rhizomes: Cultural Studies in Emerging Knowledge, Furies: A Poetry Anthology of Women Warriors, and The Routledge Companion to Puppetry & Material Performance. Her chapbook, Daughter Eraser, was published by Finishing Line Press in 2015. She earned her MFA in Creative Writing at New York University, and PhD in English at University of Connecticut. She is co-founder and director of the artist collective, Alphabet Arts, for whom she created and directed the Puppets & Poets festival in NYC from 2011-2015. Her full-length poetry collection, Hen & God, 2017 was published by The Word Works. She teaches writing at University of California, Los Angeles. 25 January 2019, with Dottie Durst. Education Matters. <https://communityaccesstv.viebit.com/player.php?hash=CLuoWlAGUEhi>. 31 January 2019, with Christine Buckley. UConn Today. “Will the Real Henry Box Brown Please Stand Up.” <https://clas.uconn.edu/2019/01/30/will-the-real-henry-box-brown-please-stand-up/>. 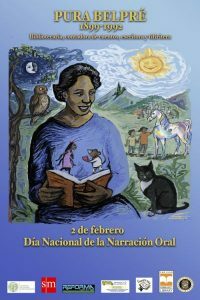 Digging in archives, Lisa Sanchez recovered the work of Pura Belpré–storyteller, librarian, and writer. Puerto Rico’s new national holiday honors Belpré and others. This talk will be from Christopher Rovee’s current book project on the professionalization of close reading around World War II, the New Criticism’s engagement of Romantic poetry, and current debates in literary study about reading (distant, surface, etc.). This talk will look closely at the works of John Crowe Ransom and Josephine Miles. Sponsored by the the Department of English and the Humanities Institute. A cash prize for the best piece of artwork to appear in the Long River Review. Entrants may submit multiple pieces. Undergraduates and graduates at the University of Connecticut’s main and regional campuses. Two awards given in memory of artist Gloriana Gill for 1) the best work of drawing or cartooning, and 2) the best work of photography (with preference given to B&W) appearing in the Long River Review. Entrants may submit multiple pieces to each prize.